Hermosillo is a modern and attractive city, It provides not only the amenities of a major cultural and economic center, but also outstanding quality of life and people. Modern shopping malls, restaurants, movie theaters, satellite TV, and a exclusive golf and sports clubs are in place and growing. Some Mexico’s best resorts are only hour’s drive away. Educational facilities are some of the best in the country, including bicultural basic secondary, high schools, colleges and universities. Medical facilities are recognized in the northern region of Mexico for their quality and technology. Hermosillo’s great advantages are location, qualified labor force, industrial land and ready to use facilities available. 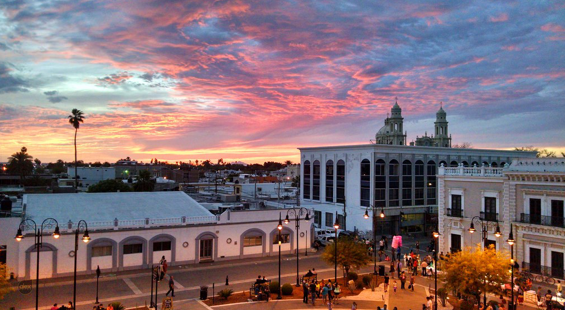 Costs and qualify life make of Hermosillo a great option to invest. Hermosillo is Located Only 170 miles south of the U.S. border, State of Arizona and Only 86 miles to the international deep water cargo seaport of Guaymas. Hermosillo has great firms stablished although that is the lest saturated industrial city in North Mexico, firms like: Ford, Lanix, Tyco Electronic, Behr, AMP NetConnect, Yazaki among others.